The Embedded World Conference and Exposition in Nuremberg, Germany, is always a great event to attend. 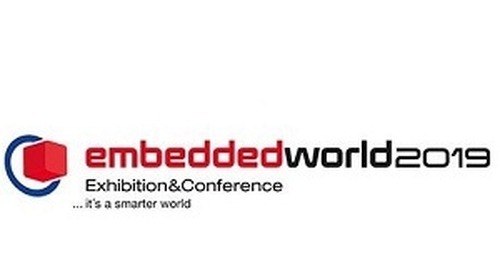 A key trade show in the electronic design engineering community, Embedded World is where people come to meet and exchange the latest information, products, ideas, and technology. Being there reminds you that a marketplace is made up of people, and the Things are there as the stock in trade for the various merchants selling their wares and services at the bazaar. This is the first of a few articles covering some of the more interesting products at the show. Embedded System Design was among the exhibitors with live partner technology demonstrators and a presentation area for a series of talks on the latest embedded technologies (Figure 1). The Embedded Computing Design booth had live partner technology demonstrators and a presentation area for a series of talks on the latest embedded technologies. With 1,117 exhibitors from 42 countries showing those wares to 31,000 visitors from 84 countries, and 2,000 conference participants from 46 countries, give strength to the organizer’s claim to fame that this event is one of, if not the, world's leading trade fair for embedded system technologies. In addition to the exhibition, there were also 10 conference clusters, with 250 presentations by international experts in 42 sessions and 12 classes. The event underscored the explosive growth of the Internet of Things (IoT), with major verticals carving out their own versions of it. From automotive to agriculture, Cloud-based embedded engineering solutions were available from multiple vendors. Just about every conceivable application space was addressed with the latest solutions capable of being created. Embedded World was also very much a Test & Measurement show, as every advanced development in core technology must be qualified and evaluated accurately. Like the Red Queen’s race in “Alice Through the Looking Glass,” the T&M industry has to run as fast as it can to stay in the same place. Every piece of test equipment must be faster than the gear its testing, and core technology is a moving target. A new player in the space, Red Pitaya, is a good example of the kind of measurement accuracy today’s tech demands. The result of a Kickstarter-fueled spin-off from Instrumentation Technologies, represents the move to high performance, open-source, reconfigurable instrumentation, manifested in its palm-sized STEMlab test platform. The device can function as an Oscilloscope, Logic Analyzer, Signal Generator, and Spectrum Analyzer, among other functions, as well as perform other tasks like vector network analysis (Figure 2). The STEMLab test module has an ergonomic design with a curved front. Based on the Xilinx Zynq 7010, the STEMLab also has an ergonomic design, with a curved front carrying input and output connectors. The STEMlab 122.88-16 SDR comes with two 16-bit ADCs with 50 ohm inputs, and 14 bit DACs with 50 ohm outputs. It uses the dual-core ARM Cortex A9 and the Xilinx Zynq 7020 FPGA plus an ultra-low phase noise 122.88MHz clock. Its 1Gbit Ethernet connectivity and RF inputs have been improved over its predecessor in terms of distortion, noise, and crosstalk. Advanced T&M solutions aren’t just restricted to a lab bench, there are a lot of real-world applications that require the best and most cost-effective measurement technologies available. Bridges and similar structures can always benefit from improved monitoring. For example, startup Slovenian company MonoDAQ’s E-gMeter low-noise 3-axial MEMS accelerometer modules do the job of structural-health monitoring in an accurate, reliable, and cost-effective manner (Figure 3). The MonoDAQ E-gMeter is useful for condition monitoring on bridges, tunnels, dams, antennas and stadiums. A fully-integrated device with an EtherCAT interface, the MonoDAQ E-gMeter is useful for applications like condition-monitoring on bridges, tunnels, dams, antennas and stadiums. Able to measure acceleration between +/- 2g and +/- 8g with a typical -3dB bandwidth of 1000Hz, the accelerometer has a 25µg/√Hz spectral noise density and 100 µg residual noise at 50Hz. The unit can also be used to precisely measure displacement by integrating the acceleration twice and applying appropriate filtering. The DEWESoft software-capable modules can be daisy-chained with network (SFTP) cables at node-to-node distances of up to 50 meters. The EtherCAT network connects to a PC that can perform the data analysis or transmit the information to a cloud infrastructure. The DEWESoft data acquisition software features hundreds of prepared calculations, display and analysis functions that do not require any programming from the user. Since MonoDAQ E-gMeter modules interface to software over EtherCAT, they can operate as a standard EtherCAT slave device and can therefore be integrated in any EtherCAT master system including Beckhoff TwinCAT, NI Labview and Matlab. The industry isn’t just sitting on current developments either; there was a healthy forward-looking development attitude, fomented not only by the exchange of ideas at the event, nor the excellent centers like Fraunhofer, but also by several development challenges sponsored by various groups at the show. 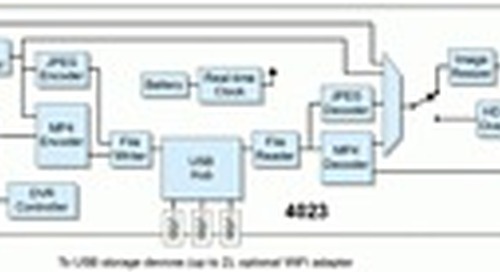 One example can be found in the challenge put together by Mouser Electronics and Microchip Technology called the Ultimate Arduino Challenge (Figure 4). The global contest was unveiled at Embedded World when Arduino co-founder Massimo Banzi, invited engineers around the world to create Arduino-based projects and submit them to the Supplyframe event page at arduinochallenge.com. The Ultimate Arduino Challenge invites engineers around the world to create Arduino-based projects. The challenge is divided into three categories: Data Collection, Industrial IoT, and Anything Goes. The Data Collection category challenges engineers with collecting data using an Arduino board and various sensors, while the Industrial IoT contest tests engineers’ skills in designing a product that connects to the environment around it. The Anything Goes category is an open challenge where engineers can submit any sort of Arduino-based design with a description and system diagram. With Supplyframe community members voting for their favorite projects throughout the four-month contest, a panel of judges will determine the top three winners. The grand prize winner will receive a trip to Turin, Italy, to tour the Arduino factory. The second prize winner will receive a trip to a 2019 Microchip MASTERs conference, and the third place winner will receive $500 in gift certificates to the Tindie maker marketplace. Also, up to 500 finalists will receive Arduino boards. The automotive industry has had electronics for decades, but the percentage of the value of that vehicle based on its electronics will continue to increase. One day cars will not be valued by their mileage, but by what generation of electronic hardware is built into it. The key to the next generation of EVs is size and weight, no different than the concerns of legacy propulsion technology. Nexperia announced at the show that over 20 of their leadless MicroPak vehicle logic solutions are now AEC-Q100 qualified (Figure 5). Presented as the smallest of their type, the devices have the same silicon die as the company’s larger PicoGate options, so electrical performance remains identical to leaded equivalents. With a footprint up to 64 percent smaller than leaded equivalents, the package provides a reliable bond between device and board, due to a higher pad area to package footprint ratio. Over 20 of Nexperia‘s leadless MicroPak vehicle logic solutions are now AEC-Q100 qualified. The family of devices includes gates, analog switches, buffers / inverters / drivers, bus switches, translators, flip-flops, decoders / demultiplexers, multiplexers, latches, level shifters and Schmitt-trigger devices. Twenty solutions in XSON6 (SOT886 and SOT1202) and XSON8 (SOT833-1 and SOT1203) packages are available, including low-power single-gate and dual-gate functions in AUP (0.8 V to 3.6 V), AVC (1.2 V to 3.6 V) and LVC (1.65 V to 5.5 V) technologies, ranging from gates to translators. In addition, more devices from Nexperia’s MicroPak offering can be released for automotive applications upon request. At the core of every electronic system is a power stage of some kind, be it a battery hooked up to an incandescent bulb, or an advanced wide-bandgap power inverter. 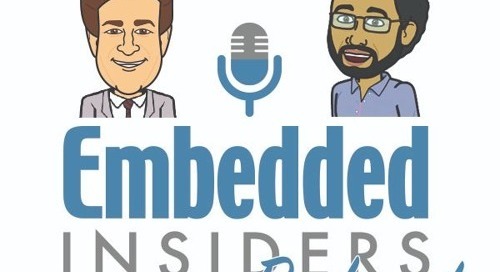 There are no electronics without electricity, and among the top goals of embedded design is to make that power system as efficient and cost-effective as possible. Delivering up to 8A at a junction temperature of 125°C, the SIC1182K SCALE-iDriver SiC-MOSFET Gate Driver from Power Integrations can support SiC-MOSFET inverter designs up to several hundred kilowatts without a booster stage. Offering advanced safety features in addition to higher performance, the devices support a switching frequency of up to 150 kHz. Incorporating the company’s high-speed optocoupler-free FluxLink communications technology improves isolation capability and reliability, with reinforced isolation up to 1200V. SCALE-iDriver devices also include system-critical protection features such as desaturation monitoring and current SENSE read out, primary and secondary undervoltage lockout, and Advanced Active Clamping. The protection circuits provide safe shut down within 5 microseconds, and the SIC1182K SiC gate drivers exhibit high external magnetic field immunity, with a package providing ≥9.5 mm of creepage and clearance. The SIC1182K SCALE-iDriver SiC-MOSFET Gate Driver can support SiC-MOSFET inverter designs up to several hundred kilowatts without a booster stage. This is a great time to be an embedded electronic systems designer, as the number of available solutions for almost any problem you can imagine is now available in a variety of price points and performance levels. The trick is to select the proper device from the many offered to get the right mix to optimize your design. Events like Embedded World (more to come in Part 2) and the products and services presented there empower the industry and foment technology development.